From Walt Disney Animation Studios comes Moana, a sweeping, CG-animated feature ﬁlm about an adventurous teenager who sails out on a daring mission to save her people. 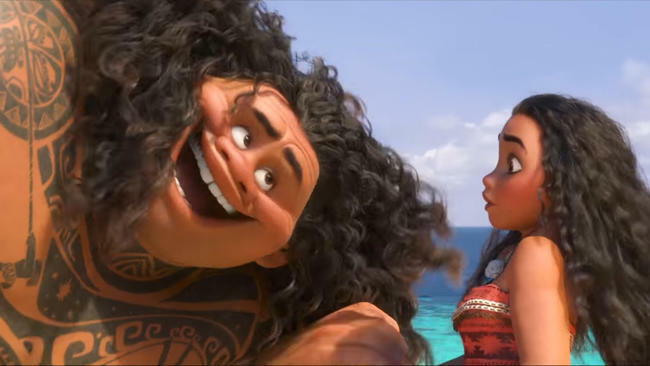 Inexplicably drawn to the ocean, Moana (voice of Auliʻi Cravalho) convinces the mighty demigod Maui (voice of Dwayne Johnson) to join her mission, and he reluctantly helps her become a wayfinder like her ancestors who sailed before her. Together, they voyage across the open ocean on an action-packed adventure, encountering enormous monsters and impossible odds, and along the way, Moana fulfills her quest and discovers the one thing she’s always sought: her own identity. Moana was directed by the renowned filmmaking team of Ron Clements and John Musker (The Little Mermaid, Aladdin, The Princess & the Frog), from a screenplay by Jared Bush, who was responsible for helping to develop and shape character personalities and overall story for Moana. 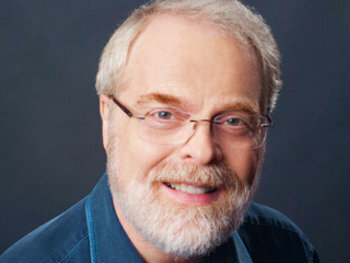 Ron Clements is a renowned storyteller and filmmakers at Walt Disney Animation Studios. 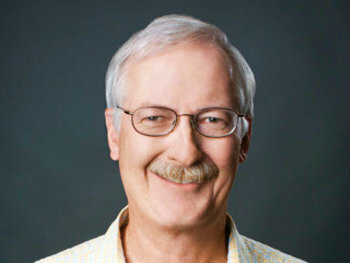 With his long me collaborator John Musker, Clements has written and directed iconic feature ﬁlms that have become part of Disney’s legacy, including beloved classics like The Little Mermaid in 1989 and Aladdin in 1992, as well as Disney’s 2009 return to hand-drawn Animation, The Princess and the Frog. Clements teams up with Musker again, this time venturing to ancient Oceania for an epic adventure about an aspiring wayﬁnder. 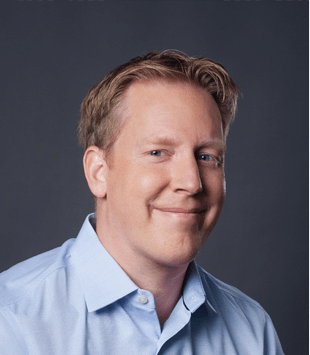 Born and raised in Sioux City, Iowa, Clements traces his interest in Animation to his ﬁrst viewing of “Pinocchio” at age 9. As a teenager, he began making Super-8 animated ﬁlms, including “Shades of Sherlock Holmes,” a 15-minute feature he animated single-handedly. “Shades” won critical acclaim and led to a part-time job as an artist at a television station, where he animated commercials for the local market. After graduating from high school, Clements came to California to try his luck at Animation. Because there were no openings at Disney, he worked for several months at Hanna-Barbera while studying life drawing in the evening at Art Center. With persistence and determination, Clements was ﬁnally accepted into Disney’s Talent Development Program, a training ground for young animators, followed by a two-year apprenticeship under Disney legend Frank Thomas. He quickly progressed through the ranks from in-betweener to assistant to animator storyman. His credits include Winnie the Pooh and Tigger Too, The Rescuers, Pete’s Dragon, The Fox and the Hound and The Black Cauldron. Clements made his writing-directing debut with Musker on the 1986 feature The Great Mouse Detective.” Their credits also include 1997’s epic comedy Hercules and the intergalactic adventure Treasure Planet in 2002. John Musker is a renowned storyteller and filmmakers at Walt Disney Animation Studios. With his longtime collaborator Ron Clements, Musker has written and directed iconic feature ﬁlms that have become part of Disney’s legacy, including beloved classics like The Little Mermaid in 1989 and Aladdin in 1992, as well as Disney’s 2009 return to hand-drawn Animation, The Princess and the Frog. Born in Chicago, Ill., Musker knew by age 8 that he wanted to become an animator. Inspired by such Disney classics as Sleeping Beauty and Pinocchio, as well as Bob Thomas’ primer The Art of Animation, Musker developed a thorough understanding of the Animation process. His fascination with comics, cartoons and MAD magazine further stimulated his desire to draw. At Loyola Academy, Musker became a cartoonist for the school paper. His special brand of caricature included outrageous sketches of teachers and school celebrities. Musker continued to develop his caricature and cartooning skills throughout his college years at Northwestern University, where he majored in English and drew cartoons for The Daily Northwestern. Following graduation from college in 1974, Musker set out for California to pursue a career as an animator. Gramma Tala’s story culminates with details of Maui, demigod of the wind and sea, who steals the heart of Te Fi , unleashing a terrible darkness that threatens the life and habitat of islanders throughout the region. Maui is confronted by Te Kā, a demon of earth and ﬁre, and ultimately loses the heart of Te Fi to the sea. The ﬁlm introduces a very special presence in Moana’s life: the Ocean—a living embodiment of the sea who’s chosen Moana to ﬁnd Maui and return the heart of Te Fi , saving her island and her people from the darkness that has begun to take over. The only problem is that Chief Tui, Moana’s father, forbids voyaging beyond the safety of the reef that lies just beyond their shores. Tui has seen too many voyage past the reef—and never return—and out of love for his people, has forbade it. 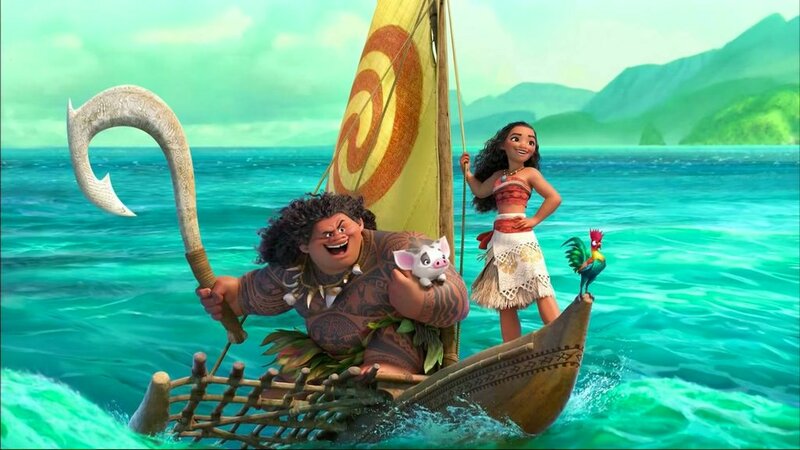 Moana must go against her father’s wishes to pursue her destiny set forth by the Ocean. Maui, who’s on his own journey of self-discovery, reluctantly guides Moana in her quest to become a wayﬁnder and save her people. Together, they sail across the open ocean on an ac on-packed voyage, encountering enormous monsters and impossible odds, and, along the way, Moana discovers the one thing she’s always sought: her own identity. Screenwriter Jared Bush is responsible for helping to develop and shape character personalies and overall story for “Moana.” Bush is also co-creator, executive producer and writer for Disney XD’s animated comedy adventure series “Penn Zero: Part-Time Hero.” He also helped develop the Oscar®-winning features Big Hero 6 and Frozen, and served as a screenwriter and co-director for this year’s hit feature Zootopia. He began his career as a script reader for Academy Award®-winning director Robert Zemeckis. A Harvard University graduate with a degree in English and American literature, Bush is an avid traveller who has visited forty countries on six continents and an accomplished trombone player who has played with several jazz bands over the years. When ﬁrst thinking of seeing an animated feature in the beautiful Paciﬁc Islands, directors Ron Clements and John Musker recalled from their youth beloved novels and paintings about the Paciﬁc. But once they began exploring the incredible tales within Polynesian mythology a few years ago, the filmmakers realized they needed to dive much, much deeper. They knew they needed to go to the islands of the Pacific to see the places and meet the people in person. The Pacific Ocean is home to thousands of islands and island nations, known to generations as Polynesia, Micronesia and Melanesia. But, as the filmmakers learned, many Paciﬁc Islanders consider the en region not in sec tions, but as the whole of Oceania. Further, while the islands themselves range in size, inhabitants of these islands consider the ocean between them very much a part of their world—a world many mes bigger than the United States. Filmmakers were deeply inspired by the people who live there, the cultures they celebrate, and the history and traditions passed down from genera on to genera on. The filmmakers spent me within local communities, meeting and sharing stories and meals with elders and chiefs and their families, as well as teachers, craftspeople, farmers, ﬁshermen and navigators. They consulted with experts in archaeology, anthropology, history, culture, music, dance, carving and more.